PR’s at Owl Creek Chase! 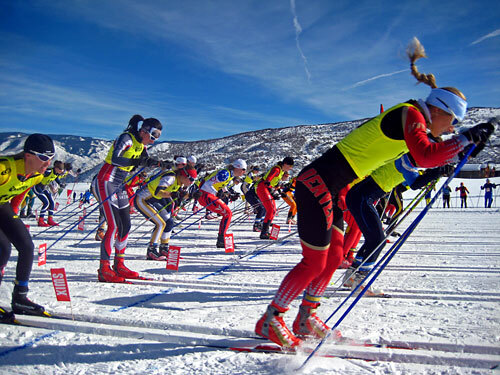 Home SkiingNordicPR’s at Owl Creek Chase! Christy and I are happy to report we both set personal records at the Owl Creek Chase this year, and by more than twenty minutes! Congrats, right? Well, not so fast (pun intended). For as much as we’d like to take credit for this, being a result of hard work, training, ski prep, or whatever, there was a more obvious reason. The course was 4 km shorter than usual, reduced from 25 km to 21 km. Short course aside, the snow was super fast, and if we were able to do an apples-to-apples comparison, we may have actually been faster than last time. Because we can’t figure exactly, we’ll just record this one as a good day in the middle of the pack. 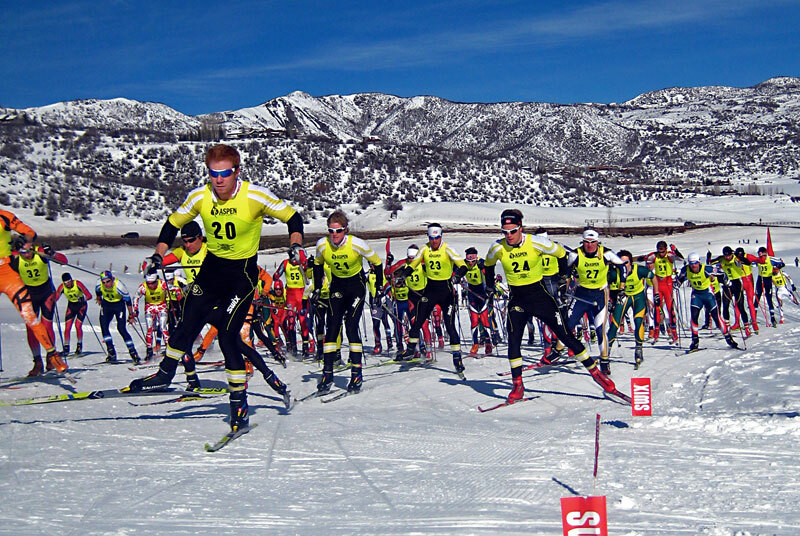 Here’s a photo of the elite men’s division start, with overall winner, Matt Gelso #20, taking the lead right off the line. 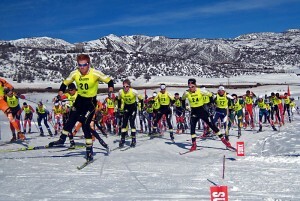 For Jon Maletz’s take on the day, see the Aspen Times article. I finished in 1:14, Christy in 1:21. 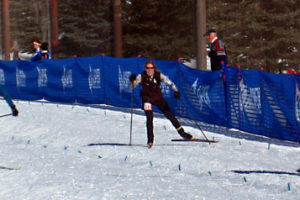 And as for Christy’s sprint to the finish, well with her toe-knee-nose all lined up you could say she’s showing good form, but her smile indicates she isn’t suffering enough, like a finish sprinter should. (click to enlarge) Looks like she almost caught Roger Carlson. Saturday’s results, when combined with a sustained mid-season dry spell that has delivered blue skies, sun, and no snow, have us looking forward to the next event, the Leadville Loppet on Feb. 22. And if you’re around Aspen Wednesday night, Adrian Ballinger is having a slide show at ACES at 7:30, documenting his climb on Manaslu last September. It should be a good one. You’re right. #465 has no result- maybe she lost her chip along the way. At least it looks like you finished in front of her.